Amalfi hasn’t always been famous for lemons, but it certainly is now – the sweet, aromatic flavour of these incredible citrus fruits has made them famous all over the world. Read on to find out exactly what makes them so special. 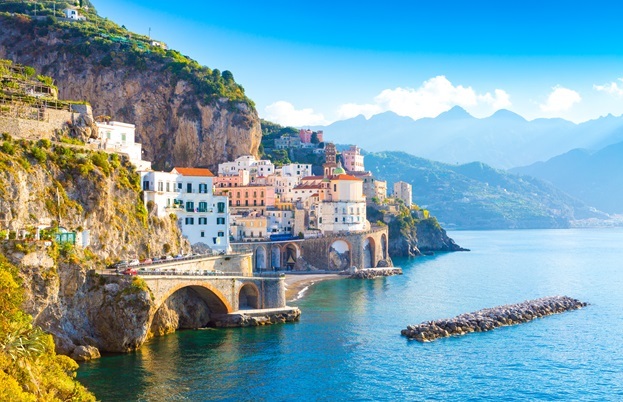 Lush, verdant and kaleidoscopic with colour, the Amalfi coast is one of Italy’s most beautiful sights – a gleaming diamond in a nation full of treasures. Alongside neighbouring seaside settlements like Positano, Ravello and Sorrento, Amalfi is a huge tourist destination, attracting thousands of visitors every year. UNESCO declared the coastal town as a World Heritage Site in 1997, and it remains an area of outstanding natural beauty. Mention Amalfi to anyone with a hint of a food brain, and only one thing comes to mind – lemons. 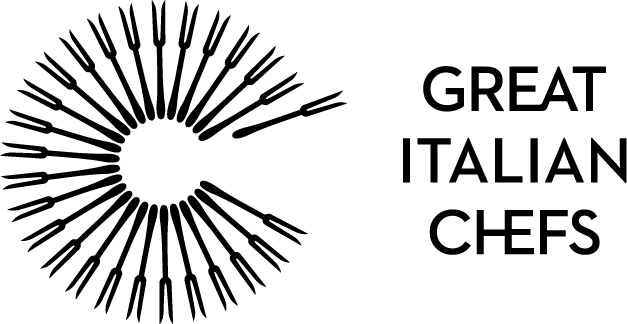 Known as ‘sfusato Amalfitano’ in Italy – sfusato is Italian for ‘spindle’, presumably an old reference to the lemons’ elongated shape – Amalfi lemons are an iconic symbol of Italy’s bountiful produce and have been coveted for over a thousand years for their sweet flavour and powerful citrus aroma. Head to ancient Roman settlements like Pompeii and Herculaneum, and you’ll see lemons – suspiciously spindly-looking ones – depicted in Roman villa mosaics. It seems likely that lemons first arrived in Italy by way of Middle Eastern merchants, but these would have been more like the lemons we know in the UK – small and sour. By the turn of the eleventh century, farmers had managed to cross these lemons with local bitter oranges, and were cultivating what we know today as Amalfi lemons. Amalfi was a powerful seafaring republic around this time, with a large network of trade routes weaving across the Mediterranean – not only were these unique lemons a much-desired trade item, they were also popular among sailors as a way to fight off scurvy during long voyages. Not all lemons from the area are necessarily Amalfi lemons, though. In fact, two varieties of lemon are cultivated on the Sorrento Peninsula – sfusato Amalfitano on the southern coast, and limone di Sorrento on the other side of the peninsula. Sorrento lemons are slightly rounder than their spindly Amalfi cousins, but both are IGP-protected and equally sought-after. 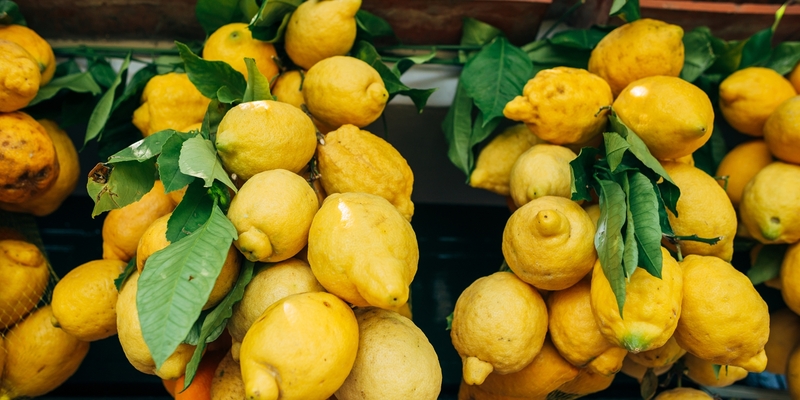 So, what makes Amalfi lemons – and indeed, Sorrento lemons – so special? Unlike the small, sour varieties you’ll find in your local supermarket, Amalfi lemons are large, sweet and juicy. The skins are softer and the pith not as bitter, meaning that you can eat a good Amalfi lemon the same way you would eat an orange, should you so wish (although it still packs a puckering punch). The skins are rich in healthy, flavourful oils – which is why a bit of Amalfi lemon zest goes a long way in a bowl of pasta – and they’re both packed with vitamin C to boot. A quirk of nature also means these lemons only grow on the coastlines around Amalfi and Sorrento. As the cool sea breeze comes inland it is trapped in the steep mountain valleys, where it settles and creates a unique microclimate that is perfect for lemon growing. Not only are the lemon trees in the valleys protected from harsher northern winds, they also get blazing sunshine over the majority of the year, whilst the incoming sea breeze maintains a cool enough temperature to keep the lemon trees happy. 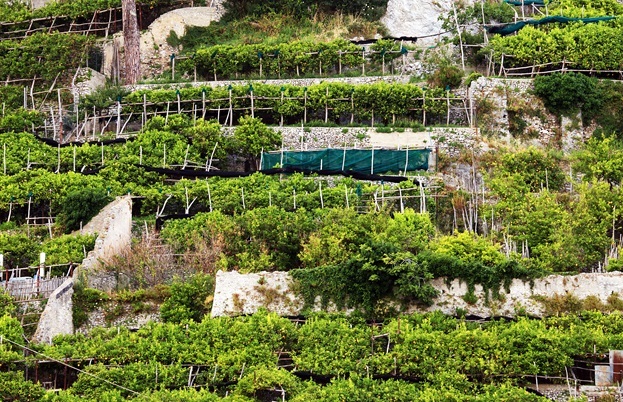 Whilst the climate and fertile soils are ideal, the terrain is rather more difficult – the rocky outcrops make the use of machinery impossible and lemon growers have to work extremely hard for their harvest, climbing thousands of stone steps every day with large baskets to collect their fruits. Lemons are harvested multiple times a year on the Sorrento peninsula, so you’ll be able to try them whenever you visit the coast, but it is generally agreed that the best lemons are harvested between March and July. Visit Amalfi or Sorrento and you’ll probably find you’re always within a few metres of a bottle of limoncello – the local lemon liqueur that has become synonymous with the area. A huge percentage of the year’s lemon harvest goes towards the brewing of limoncello, and locals say that different bottles have very different flavours, depending what time of year the lemons were picked. If limoncello isn't your thing, fear not – the people of Campania enjoy their lemons in a huge variety of other ways. Lemon is often used in the preparation of meat and fish, lending perfume and acidity to dishes like garlic lemon chicken and this gorgeous Luciana-style braised octopus. Risotto al limone may sound a little bland, but the reality is delicious, and especially popular as a light lunch in the summer months. Lemon leaves are also useful for cooking, lending a more subtle aroma to dishes. Frittelle de Ciceniello is not to be missed – ‘ciceniello’ is the local word for what the Italians call ‘bianchetti’ – small fish like sardines and anchovies, deep-fried and served with crispy lemon leaves. There’s provolette too – a smoked fresh cheese, which is grilled and served on a bed of lemon leaves. Sometimes you’ll see lemons simply cut into segments and served with a sprinkling of salt, a splash of oil and a scattering of mint. And then there’s desserts – delicious sweet and sharp torta al limone, cannoli with lemon cream, and delizia al limone – a sponge cake soaked in limoncello, topped with whipped lemon cream. 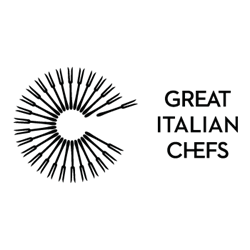 Amalfi and Sorrento lemons are available in the UK these days – some supermarkets stock them in season, and you can probably convince your local greengrocer to buy in a box if they haven’t already. Switch out your normal lemons for these more succulent varieties, and you have an instant upgrade to your favourite dishes!